We are excited to present ’19 Baybreeze Crescent, Murrumba Downs’ to the market! Located in the desirable ‘Northquarter’ Estate of Murrumba Downs and walking distance to schools, train station, parklands, wetlands and only minutes drive to the highway and Westfield North Lakes, this location is second to none! Comprising four spacious bedrooms, a separate study, two generous living zones, ducted air-conditioning, solar power, a very inviting pool and all this on a large 600m2 allotment with side access. 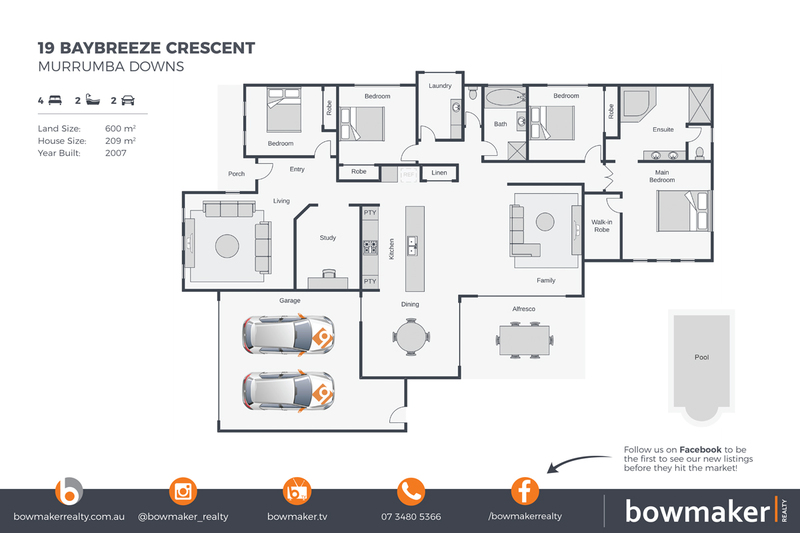 To arrange an inspection, contact Paula on 0430 453 676 from Bowmaker Realty, North Lakes leading property marketing agency, today!